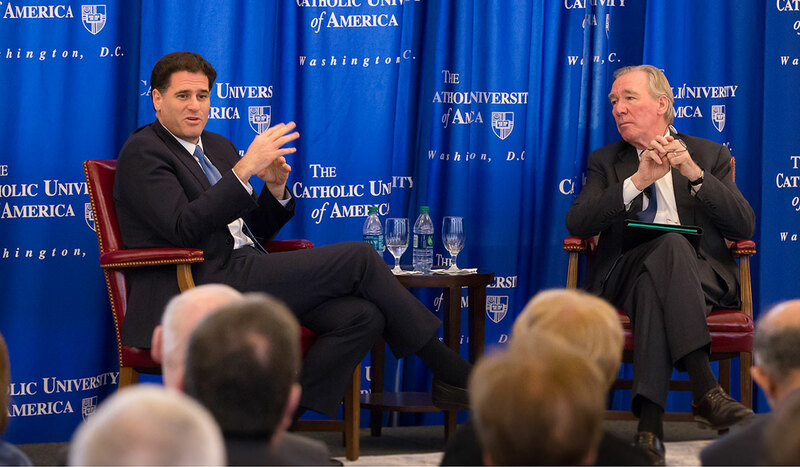 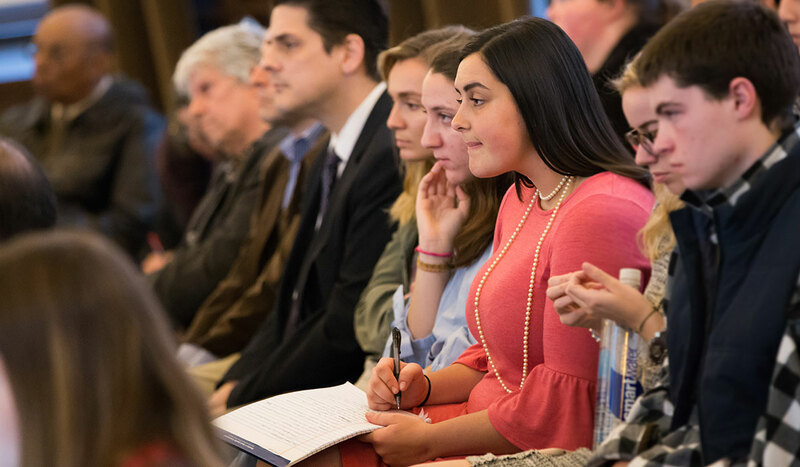 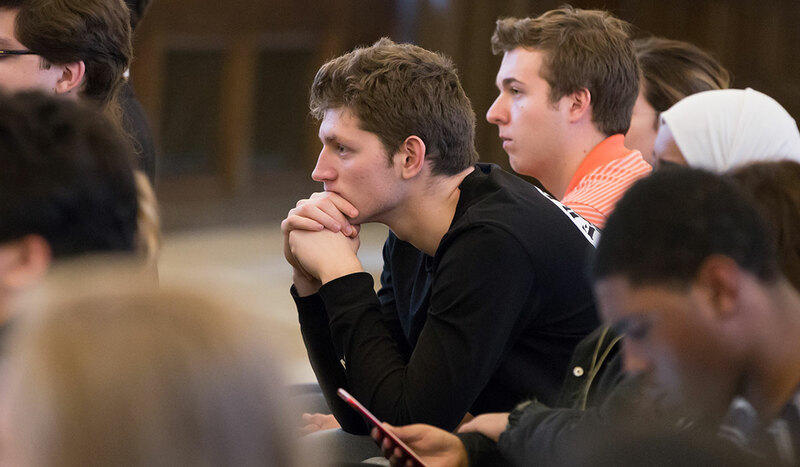 Dermer’s talk was framed as a conversation with Catholic University President John Garvey, with Garvey asking Dermer questions about recent events pertaining to Israel and the Middle East. 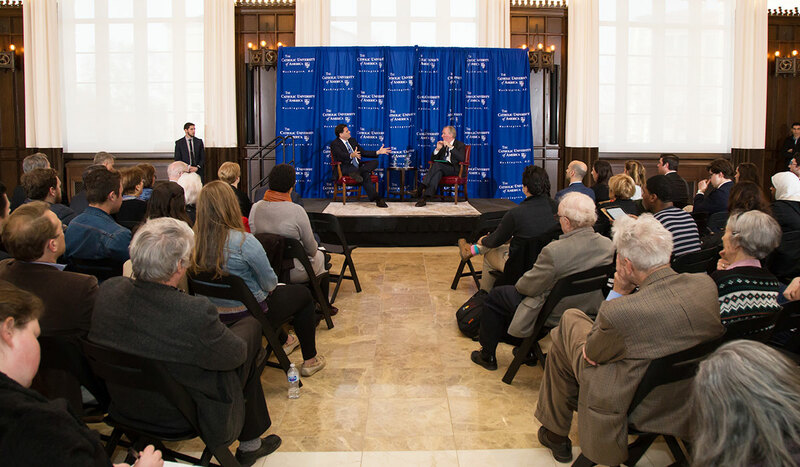 Early in the discussion, Dermer reflected on the relationship between the United States and Israel, including recent meetings between President Donald Trump and Israeli Prime Minister Benjamin Netanyahu regarding the Iran nuclear accord, a 2015 agreement put into place by former President Barack Obama to limit Iran’s nuclear activities in exchange for eased economic sanctions. 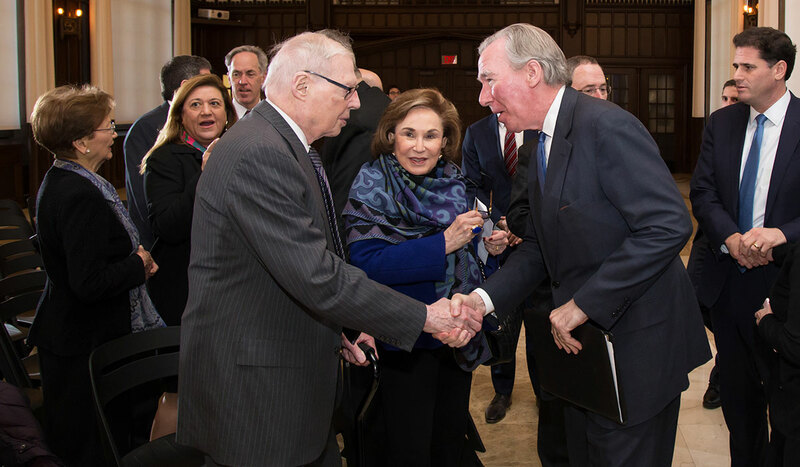 “We see this deal as a grave threat to Israel, a threat to the entire region, and a threat to the world,” he said. 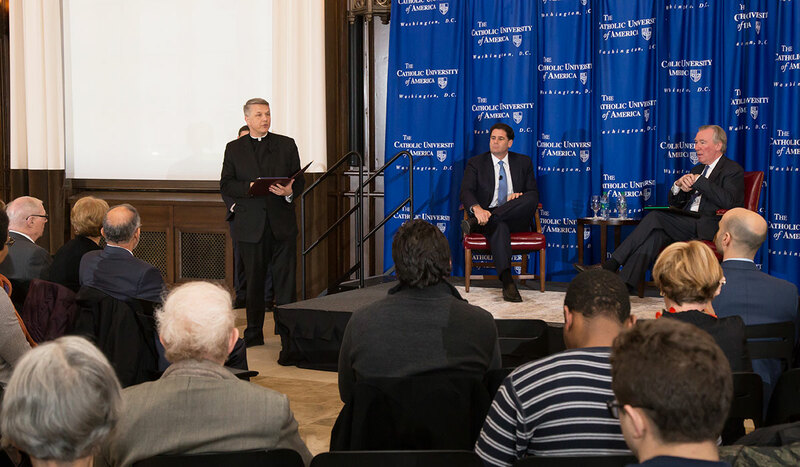 After Garvey asked about the plight of Christians living in the Middle East, Dermer called the situation “a huge problem” in which entire Christian communities have become victims of “a complete genocide” at the hands of religious extremists. 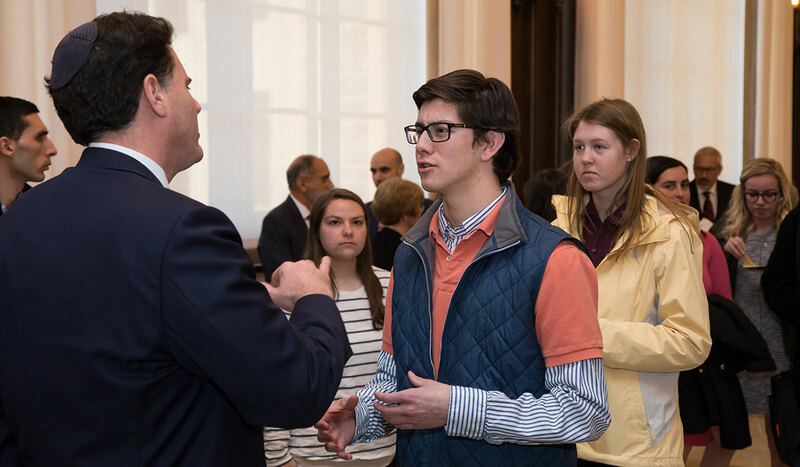 “It is very important to call these atrocities out and publicly condemn them,” Dermer said. 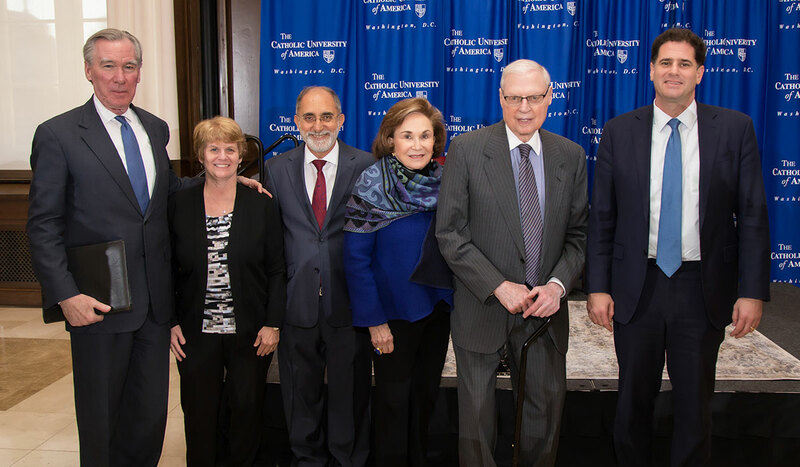 Following his conversation with Garvey, Dermer accepted questions from the audience pertaining to the plight of Eritrean migrants living in Israel and the importance of interreligious dialogue. 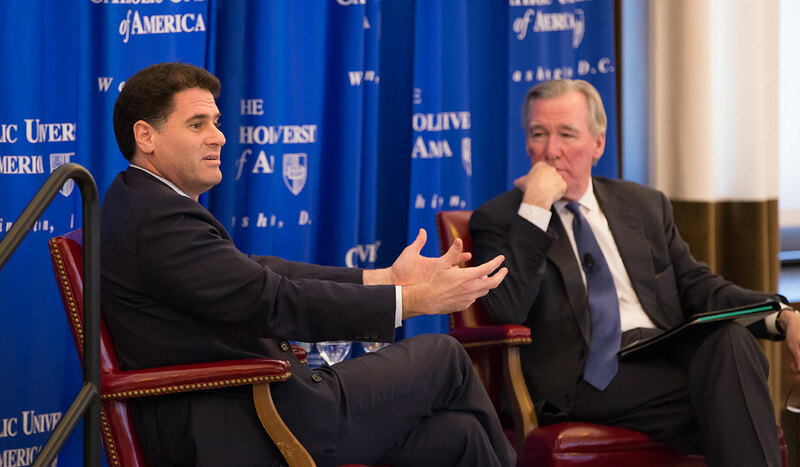 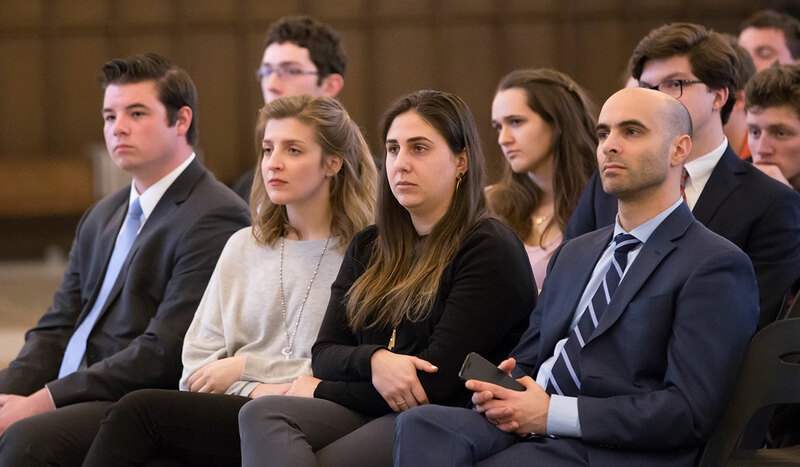 Though relationships between faith groups have improved, Dermer said he still sees anti-Semitism, which he believes is reflected in how other countries think and feel about Israel. 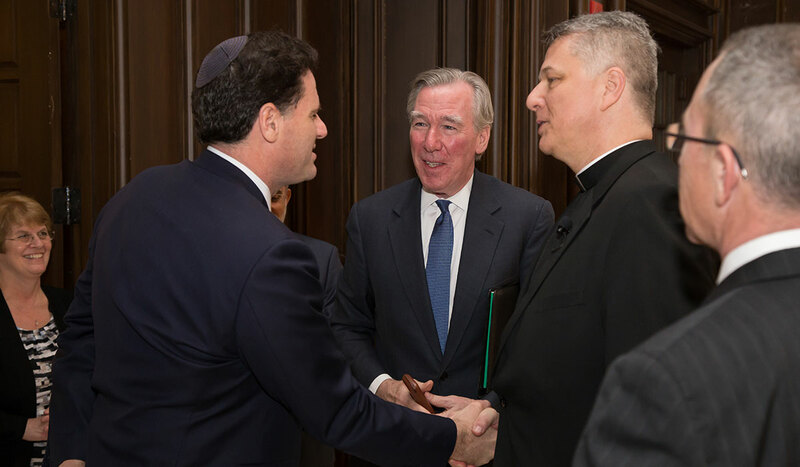 He asked religious leaders in the United States to speak up against anti-Semitism when they see it in their communities.